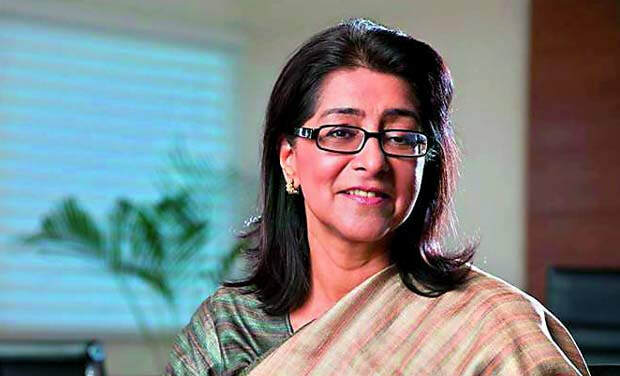 ​NAINA LAL KIDWAI, By profession she is a Chartered Accountant, an Indian Banker and Business Executive. Naina Lal Kidwai comes from a family of high achievers. Her father was the CEO of a leading Indian insurance company; her sister became one of India’s top golfers, and her husband, Rashid K. Kidwai, who runs a non-profit named Grassroot Trading Network for Women. Naina Lal Kidwai has several firsts to her name. She was the first Indian woman to get an MBA from Harvard in 1982, In her personal life, she was the first woman from her extended family to take up a job. In school, she was class captain, house captain and head girl and also secretary and president of the student union at Lady Shri Ram College, where she studied Economics. Professionally, she was among the first three women to be chosen as articled clerk back in 1977 by the company now known as PwC when she was studying chartered accountancy, and went on to become the first woman to head a foreign bank in India. She was also the first woman president of the Federation of Indian Chambers of Commerce and Industry. Naina started her career with Price Waterhouse & Company from the year 1977 to 1980. She began her career in banking with ANZ Grindlays in 1982 where she rose to Head of the Investment Bank, Head of Global NRI Services and Head of the Western India, Retail Bank. She worked at Standard Chartered Bank as Chief Manager of Retail Bank. She served at Morgan Stanley India from the year 1994 to 2002 as the Head of Investment Banking and there she initiated the merger of JM Financial and Morgan Stanley in India in 1998. In 2002, she became Vice Chairman and Managing Director for HSBC Securities and Capital Markets India Private Limited. In 2006, she became CEO of HSBC India. Since 2009, she serves as the Group General Manager and Country Head of HSBC India. In the year 2000, the Fortune magazine declared her as the ‘Third Most Powerful Businesswoman’ in Asia. In 2002, Time magazine selected her as one of the ‘15 Most-Promising Young Executives ‘She has ranked in the Fortune global list of Top Women in Business, 12th in the Wall Street Journal 2006 and Financial Times Global Listing of Women to Watch. In 2009, she has been awarded the ‘Green Globe Award’ in the business enterprise category for her commitment to environment sustainability. She is the President of the Federation of Indian Chambers of Commerce and Industry (FICCI). She received the ‘Padma Shri’ from the Government of India for her contribution to Trade and Industry. Her interests in microfinance and livelihood creation for rural women and environment made her supports the world’s largest youth driven organization – AIESEC as a National Advisory Board Member to AIESEC India. Kidwai serves as the Non-executive Director on the board of Nestle, SA. She is the Chairwoman of City of London’s Advisory Council for India. She is a Global Advisor at Harvard Business School. She is a member of Governing Board of NCAER, Audit Advisory Board of Controller and Auditor General of India. These days, however, she works for causes closer to her heart: environment, sanitation, access to water and women’s empowerment, to name a few. Interestingly, it was as country head of HSBC India that Kidwai got the opportunity to attend forums and debates on water and climate change, which honed her understanding of these issues. Over the last few months, she has been busy with her latest book Survive Or Sink, released in April, which deals with issues of sanitation, water, pollution and green finance. On a personal front, she is the mother of two children. She is fond of Indian classical as well as western music. She loves to go on trekking tours to the Himalayas. She is a nature lover, who has a keen interest in observing wildlife. ​She intends to keep learning, and quotes George Bernard Shaw in her book: “You see things; and you say, ‘Why?’ But I dream things that never were; and I say, ‘Why not?’” This also aptly describes the Padma Shri awardee.